Twenty eight 7 N Cu strands with a diameter of 0.37 mm were twisted while applying squalane oil and filmed with polyolefin as an insulator. This is made of a polyolefin mixed with tungsten and amorphous, with a 3-core structure in which a radio wave absorbing magnetic yarn and a silk thread are arranged in the center together with a ground wire of 4N conductor of the same structure. It is further shielded with copper foil tape and is covered with sheath of high quality lead-free PVC. Moreover, in addition to its own acro link / stress free processing, the conductor has crystal grains several dozen times that of general pure copper, and “7N Cu DUCC (Dia Ultra Crystallized Copper)” having a uniform crystal lattice direction is adopted. 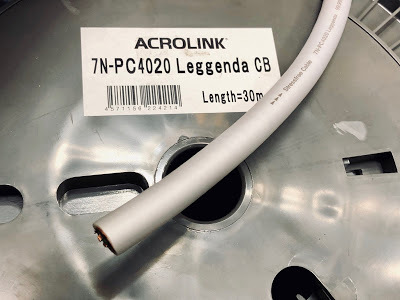 Unique Acrolink / Stress Free Processing: Stroke-free products of Acrolink realized that the structure can be restored to a healthy state by a self-annealing phenomenon unless it is too big external force due to unique special annealing treatment and characteristics of high purity copper It is the only cable in the world. At the time of heat treatment after wire drawing processing, atomic arrangement transformation has reached 1 billionth order compared with normal 4N copper, and the number of crystal grains is 1/80 to 1/100. Further flowing current accelerates aging = self annealing, residual strain decreases, the structure recovers soundly, and the sound quality is improved. 7N Cu DUCC: Dia Ultra Crystallized Copper is a high-purity copper conductor for audio made by growing crystal grains to several tens of times larger than ordinary pure copper and aligning crystal lattice direction. The larger the grain size, the smaller the grain boundary (the interface between the crystal and the crystal) becomes, and the sound quality improves dramatically. Also, with respect to the directionality of the crystal, observing its direction by analytical phenomenon by X-ray irradiation, the manufacturing process is optimized. 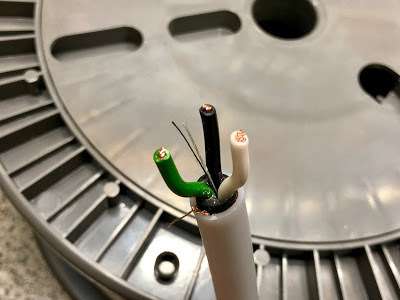 DUCC × Acrolink · Stress-free synergistic effect makes it an extremely superior wire material with unparalleled “direction optimum for power supply current transmission”. After a very long burn-in time, the cable has turn out to be, the source power cable, I WANTED. The sound is clear and detailed all the way from buttom to top. After several listening tests, I CHOOSED to use Oyaide P-046e (Pd > Au) / Furutech FI-8N (Au > BeCu) plugs. This forgiven combination of plugs,is spot on in my system. I recommend the cable hearty !! !